Audiobooks are hot fire. Even better than podcasts. They’re, like, every flame emoji a tweet can hold. I just finished When The Game Was Ours by Magic and Larry. There will never be a better personification of humanity—the thin and nuanced line of contrast and commonality we all straddle with our individualism in a shared experience called life—in sports than those two ballers. I love calling them ballers. Especially Bird. Such a magnificent goofball. Dude is just a testament to single-minded ruggedness, like if plowing a field for 12 hours a day for a decade could put a triple double in your box score. And Magic, sheeeeeeat. Pretty sure he just smiled at HIV and it was like, “ok, maybe I won’t become full-blown AIDS.” That’s a joke, obviously, but there was one particular story Magic told in that book that’s worth sharing. We’ll get to it. The book I listened to before When The Game Was Ours was called Take The Stairs by Rory Vaden. The gist of the book is that you have to work to be successful, which is just a golden nugget of an idea. Rory whittles it down to discipline and grind. “You don’t own success, you rent it. And the rent is due every day.” Taking this principle, Rory establishes the focus areas as five categories: Family, Finance, Faculty (work), Fitness, and Fun. I found this interesting because I’d always broken my life down to the less alliteratively pleasing categories of relational, financial, physical, professional and spiritual. I was close enough. When you drill into each area, you realize that they’re all conjoined. The qualities to be physically fit—discipline and routine—are the same qualities that make you financially fit. And just like those who give the most relationally have the most friends, people who give their money tend to find more financial opportunities. Maybe’s it karma. Maybe it’s fairy dust. 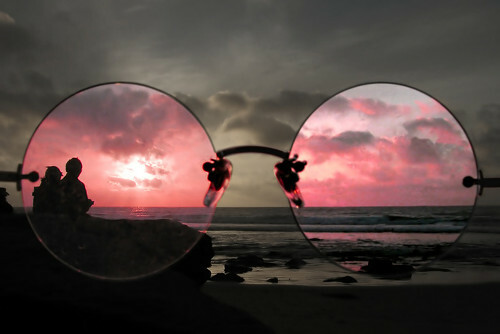 Maybe you can see anything through rose colored glasses. I don’t know why it happens. But I do know that you should choose to put those glasses on and start seeing the world that way. Here’s the Magic story as I remember listening to it. 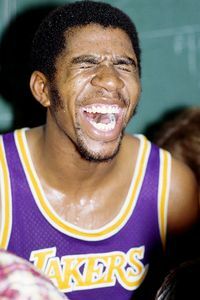 Magic was in his first season with the Los Angeles Lakers, just a kid. He’d just wrapped up practice, and he sees his more reclusive, hall-of-fame teammate Kareem Abdul-Jabbar get approached by a man and a boy. Kareem dismissed them and walked on. Magic could tell that the boy was crushed and the father was embarrassed. So Magic put on a big grin and approached the father. The father thanked Magic and posed for the picture with his son and the 21-year-old Laker. 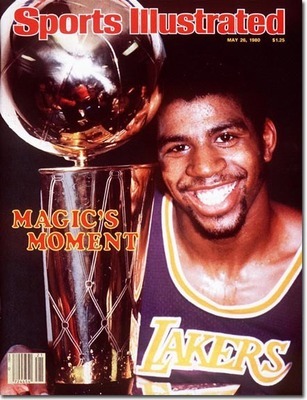 Over 20 years later, Magic was indeed in the Hall of Fame. But he’d also become a businessman owning chains of coffee shops, movie theaters and other entrepreneurial efforts. To support one such endeavor, Magic had set up meetings with several businesses to secure investments. He was in the middle of his pitch with the CEO of one of these businesses, and the CEO interrupted him. “You know, you and I have met before,” the CEO said. “Yes we have. I don’t expect you to remember, but you took a picture with me and my son when you were a rookie, after Kareem turned us down. I always appreciated that you did that. Magic left that office with a multi-million dollar deal.